I received my Lloyd Hamilton DVD produced by Mssrs. Glass and Wyatt last night. What a joy. Being able to see a Ham short I have not seen before is always good business. That short was A HOME MADE MAN (1928), the second to last Hamilton Educational short. I didn't have my hopes up being a late Educational but there were some good gags in this. It is apparent in this short that Hamilton digressed from character based stories to simple gag parades. Hamilton is gaunt in this film. Watching HIS MUSICAL SNEEZE is bittersweet when you realize how many of the Fox shorts are gone for good. I read back in the day that Fox short comedies had huge budgets, but it is now becoming evident to me that the Fox shorts had normal budgets, its just that the Fox shorts department had use of the Fox feature sets which made them look far more expensive. I'm sure the old Sennett crew at Fox without Sennett's control, made shorts with a unique dynamic. The other titles are from Hamilton's first season at Educational: DYNAMITE, THE SIMP, APRIL FOOL, and MOONSHINE. I had seen these shorts previously, but all of these aforementioned titles had scenes I had not seen before. Seeing MOONSHINE without superimposed titles was neat. A hearty "good show" to Daves Glass and Wyatt. This is s wonderful disc. Meg Morley is superb. May we have another please, Ton O' Fun or Snub perchance? This is a wonderful collection, Dave; thanks so much for putting it together and all your hard work doing so. It's great to finally have a copy of HIS MUSICAL SNEEZE with translated intertitles! Having just viewed DYNAMITE, I was amused to see several gags reused from Henry Lehrman's A TWILIGHT BABY, which also starred Hamilton and was filmed less than a year earlier. I think Ham had only made one other film in the interim for Jack White, who directed both A TWILIGHT BABY and the interim film as well. The gags that I recall: the fish down Hamilton's pants and his resultant gyrations; the hen eating the black powder, producing exploding eggs; and the goat butting Hamilton through the side of the barn. Not that there was anything unique about these particular gags, but I guess both director and comedian thought they were good enough to trot out a second time, and so close on the heels of their former appearance. 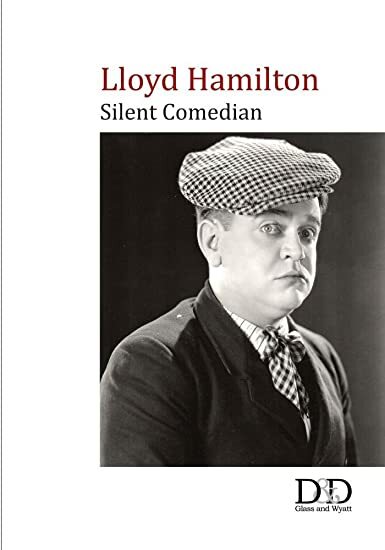 OK, we had a wonderfully positive response to the Lloyd Hamilton DVD, not only from those who Kickstarted it but also a great many who had missed the boat. Well, the dust has now settled and we have a few spare copies left over, so we're making these available on a first come first served basis. As far as the cost goes, we think it’s appropriate to charge the same amount as the Kickstarter backers pledged. 2) the cost for the DVD in standard DVD case with art work and insert is £25 (+ £5 postage to non-UK address). We’ll then send you the payment details, which will be via Paypal. If you’d like more information about the contents, there’s a video on You Tube. Just search ‘Lloyd Hamilton Kickstarter’. It's been a few months now since this project was completed. Ever since the deadline closed, we've been regularly inundated with requests for it to be made available on an on-going basis. And if you were one of the original lovely Kickstarter backers of the project and you enjoyed the disc, we'd be ever so grateful if you could drop a review onto the Amazon page, just to hopefully entice the occasional passerby! Thanks.